So I knit a pair of socks for my mum for Christmas. I can safely post them here as she rarely pokes around on the net, if at all. I normally don’t knit socks for anyone else apart for myself or Damian (even Damian hasn’t had a new pair in a while). Socks are risky though. When they are a gift, a surprise one at that, you have to make a lot of calculated guesses when it comes to fit. I guess I’ll find out how well I did on Christmas day. Pattern: Cookie A’s sock club August pattern ‘Artemis’. 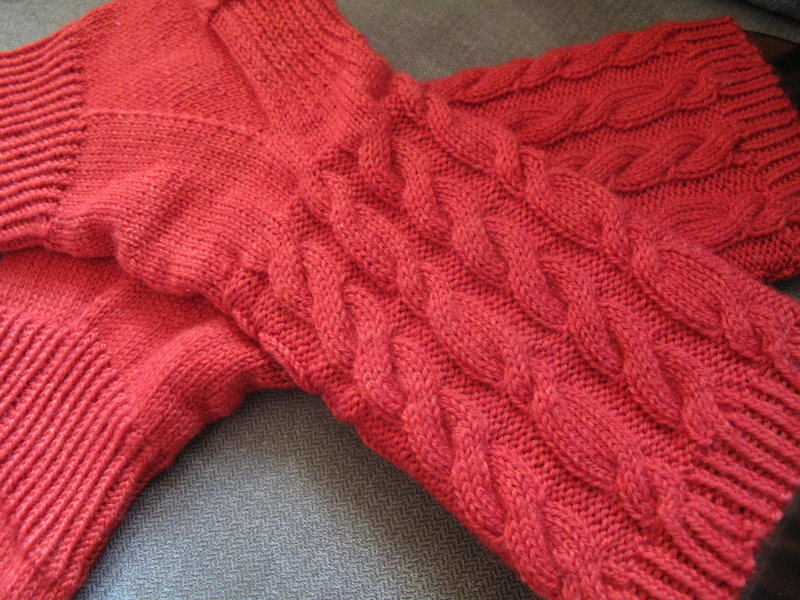 Thoughts: The pattern was an easy knit, the rib on the arch of the foot should make for a comfy fit. If I was only working on these they would have taken me a 3 weeks to a month to knit.